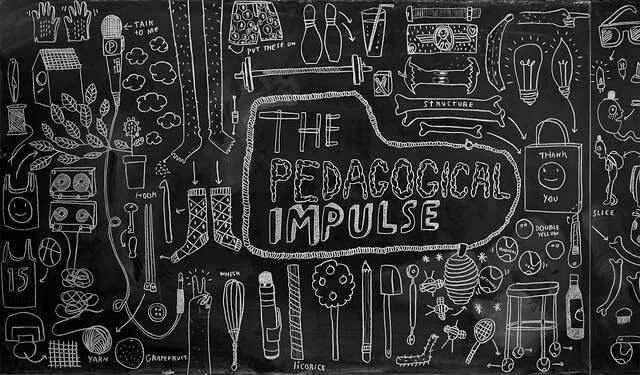 a series of “artist-residencies” that take place across a number of educational sites in Toronto, Canada in order to examine how artists are engaging with pedagogy as spaces for the development of new critical practices, and the potential critical and imaginative engagements that occur when such art practices are located in collaboration with schools, teachers, and learners. The participating artists Sarah Febbraro, Hannah Jickling, Helen Reed, Hazel Meyer and Rodrigo Hernandez-Gomez work with collective, participatory and social methods and address issues of learning, knowing, and relationality in their existing practices. a living archive of interviews about art, pedagogy, and knowing with Barbara Steveni, Antony Hudek, Pablo Helguera, Whoop dee doo, Henna Paunu, Annette Krauss and Syrus Marcus Ware, Loree Lawrence and Pamila Matharu. ongoing discursive events that employ different forms of action and critical reflection. the development of research-creation as a qualitative methodology with a focus on diagramming. For interrelated research-creation practices visit WalkingLab. Website Banner by Acme Art & Design.